As part of my Public Relations and Advertising Campaigns capstone course at Grady College of Journalism, we were instructed to create a sustaining social campaign for TBS’s Full Frontal with Samantha Bee. 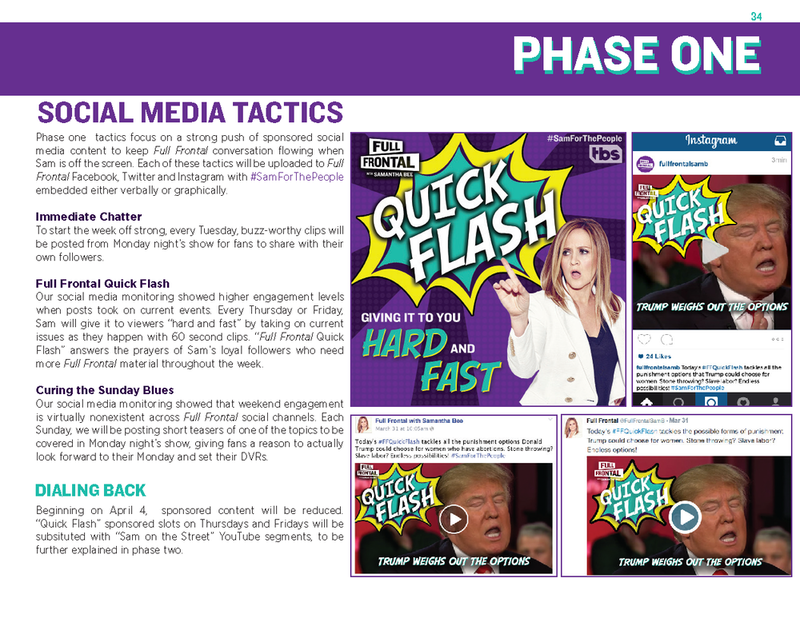 Heavily focused on digital and social platforms, TBS asked us for methods to build awareness for Samantha Bee’s unique voice that stands out amongst late night television clutter. In a team of ten people was responsible for combining all aspects of our proposal - including primary research, social media monitoring, competitive analysis, and planning - into a strategic campaign book. Please connect with me to view our full finished product.